The Diamondback Tanto is constructed with a wider blade and handle for extra grip and control, while the extra thick liner lock delivers a secure locking blade. 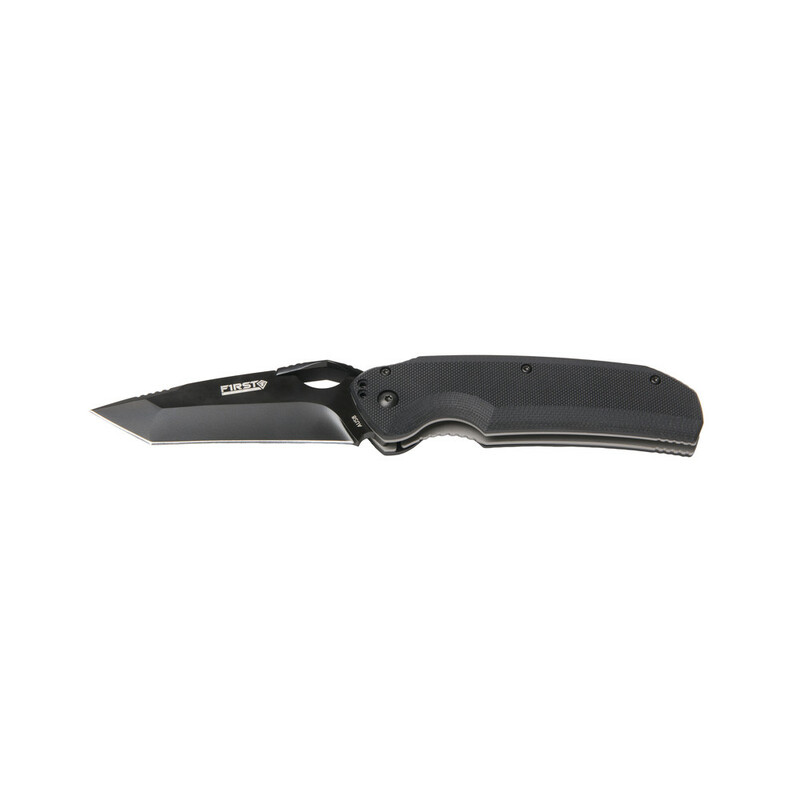 Thumb Bridge Technology™ and pull grip give you sure control, AUS8 steel provides a lasting edge to the smooth spear-shaped blade, and a rugged but lightweight G-10 handle balances your knife, making it an excellent all-around working blade. Traditional top mount clips rely on screw threads for strength. Our turned mount clip design alleviates pressure on the screws, eliminating the need to constantly tighten loose screws, or having the clip completely severed. Specialized Thumb Bridge Technology™ provides the gloved or ungloved hand ease of opening in all conditions with added steadiness and skillful control of your blade. 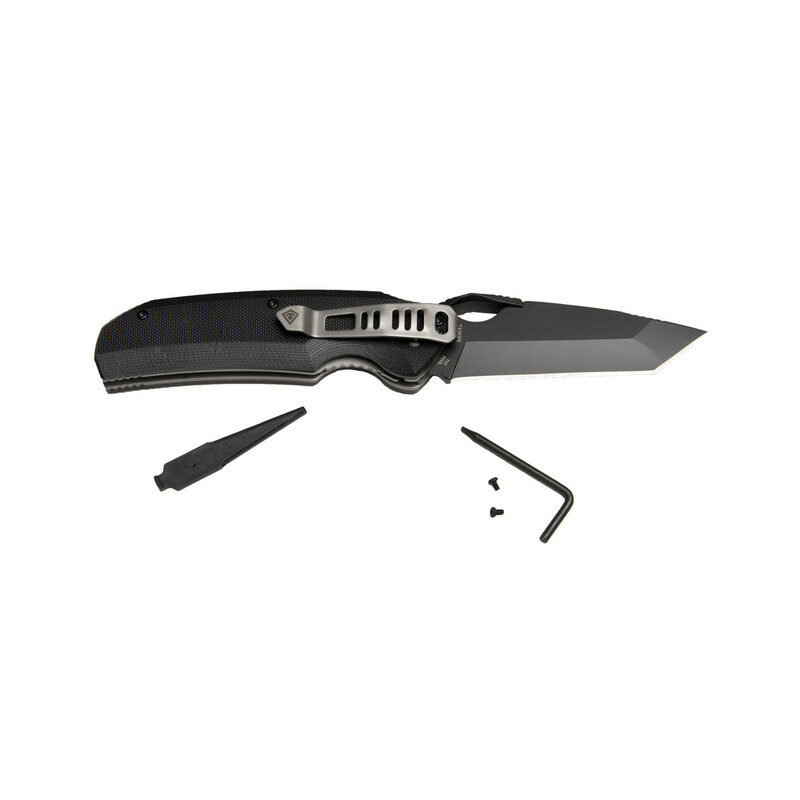 While open, the Thumb Bridge™ and blade choils allow you to choke up on the knife for fine cutting and knife work. Our enhanced pull grip gives the user added texture in the body of the knife for a firm hold and quicker response.